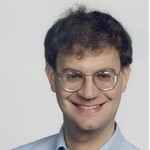 Jeffrey S. Katz is the Chief Technology Officer of the Energy and Utilities industry at IBM. He is involved with the application, development, and innovation of IBM products, services, technology and research for electric power companies and related organizations. Jeff has contributed to the industry’s framework, Solution Architecture For Energy (SAFE), the industry group’s strategic growth case, the IBM Innovation Jam workshops, the IBM Intelligent Utility Network initiative, and is the primary industry liaison with IBM Research. He is a member of the IBM Academy of Technology. He led the IBM internal Innovation Jam brainstorming project for Nuclear Power and was an invited speaker to the IBM European Sector Technical Institute, the follow-on Energy and Utilities University, and the Technical Leadership Exchange. He has presented on behalf of IBM at many industry conferences, including the international Conference of the Electric Power Supply Industry and the Department of Energy’s Grid Wise Grid Inter-Op. He was an invited speaker to the Fourth Annual Carnegie Mellon University Conference on the Electricity Industry and to the inaugural Yale Alumni in Energy conference, and is a co-chair of the IEEE P2030 Smart Grid Interoperability Guidelines IT Task Force. Recently he has presented in several forums on Smart Grid Security, including Grid Week and at a panel convened by the federal GAO and NAS. Prior to IBM he was the Manager of the Computer Science department at the U.S. Corporate Research Center of ABB, and then of ALSTOM. Before that he was with ABB Power Generation, managing development of computer systems for nuclear and fossil power plants. He has extensive experience in research and development, computerization of power generation systems, real-time computing, computer systems, electronic communications, process control systems, and computer based enterprise engineering tools, scientific computing, and robotics. While there he presented at conferences for the Electric Power Research Institute and at DaraTech Plant. He is an author on six patents, in tele-medicine, robotics and computer vision, and intelligent electric power distribution. He has a Commercial General Radiotelephone license from the U.S. Federal Communications Commission. He is a member of IEEE and Sigma Xi. Jeff has organized or taught several volunteer activities around robotics for education, including FIRST and FIRST Lego League. Jeff is also a long time amateur (ham) radio operator. He was a Region 1 finalist in the Johns Hopkins National Search for Computing Applications to Assist Persons with Disabilities.